Skip right to the tutorial. I’m funny. Sometimes ha-ha funny, sometimes left-out-of-the-fridge-too-long funny. But as we all know, there are times for funny and times for seriousness. This is one such time. For seriousness that is. So this post will involve no funny. No laughing, no snickering, no coffee spitting. Because the information I’m about to introduce you to deserves a reverence that can’t be accomplished when diluted with hilarious jokes or cutting sarcasm. When I first published this post in 2014 it got a bit of attention. Mainly because it takes a simple idea and allows you to do it at home without any special equipment. I’m going to teach you how to transfer any photograph or picture onto wood. You don’t know it yet, but this is the greatest day of your life. You get to produce something beautiful without any pain or tearing of your woman bits. Plus it won’t turn into a whirling, dangerous ball of hormones in 13 years. I decided I wanted to try making something but it involved transferring a photo onto wood so I did a little research. Most of the tutorials I came across involved a few specialty materials like matte gel and the backing paper of printer labels. I didn’t have any printer label paper handy and don’t even know what matte gel is. Like most DIYers I wanted to DIY, NOW. Right this second, NOW. So I kept looking for a simpler solution. Mid search I suddenly remembered my mother mentioning something Mag Ruffman had done a couple of years back. It was the perfect solution and it works GREAT. All you need is a printer, a roll of waxed paper and a dream. That’s right. All you need is a regular inkjet printer (this one is the newer version of the one I use) and regular waxed paper. I have an HP wireless printer and this technique works with this printer. It’s the only printer I can guarantee this works with, although it will work with most as long as it’s an ink jet. 1. Cut a few sheets of wax paper to the size of a standard piece of printer paper. 2. 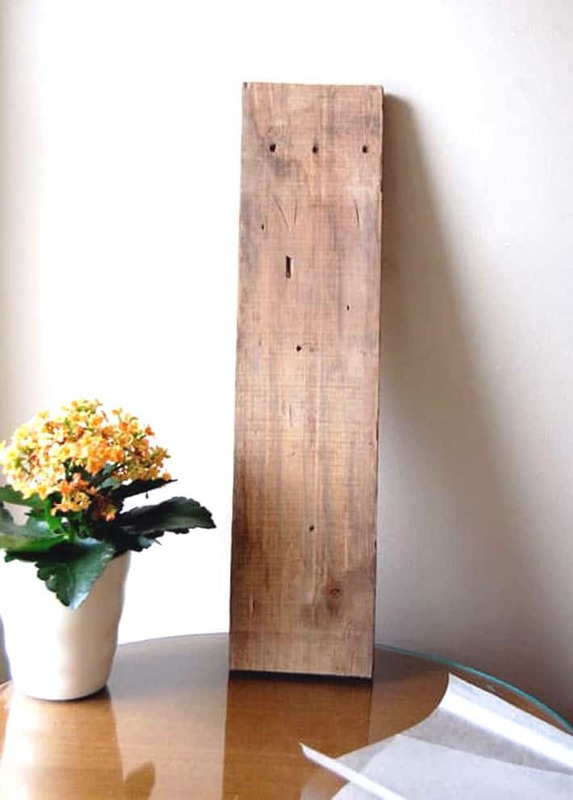 Find a smooth, light coloured piece of wood. Actually find a few so you have some to practice on. Find a high resolution image you like. Or make your own. The Graphics Fairy is a great place to start for copyright free, high resolution images. 3. Once you have an image you like, reverse it using whatever photo program you have on your computer. If you’re not sure how to do that just Google it. 4. 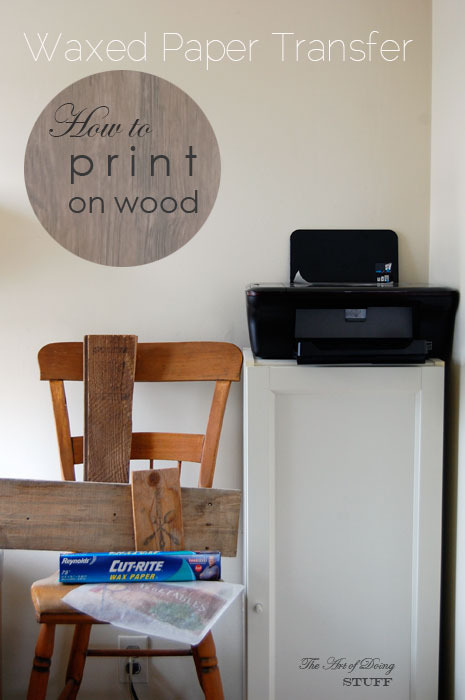 Put a sheet of your waxed paper into the printer and click print. 5. As the waxed paper comes out of the printer, gently guide it. You have to be careful it doesn’t roll under itself or touch itself in any other way because it will smear the ink. 6. 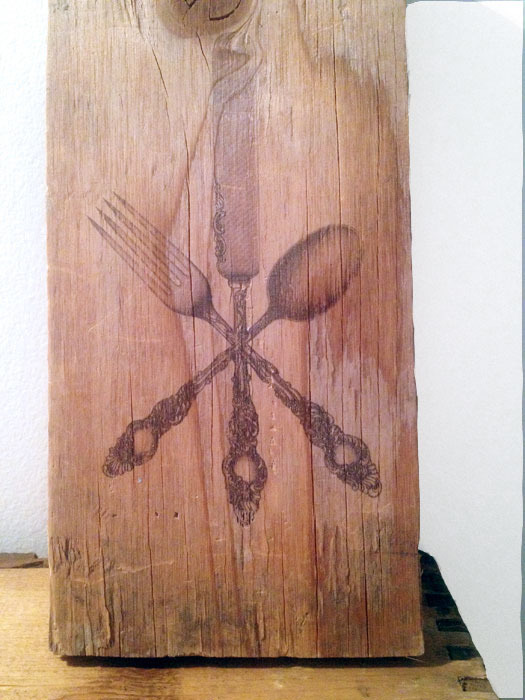 Put your image exactly where you want it on the wood. Remember … this can be any unfinished wood. A bench, table, box, or anything! Once you place your image you can’t move it. Do not move it. It will smudge. You will be sad. Then you will cry and it will smudge some more. 7. Holding the transfer tight to the wood, and working quickly, swipe the edge of a credit card across the image. This pushes the ink from the waxed paper down into the wood, which absorbs it. Don’t be wimpy about this. Push hard, but not so hard that you rip the waxed paper. You can gently lift the paper to see if it’s transferring well. If you notice spots that haven’t transferred, rub it some more with the credit card, this time burnishing it. 8. When you’re pretty sure that you’ve transferred as much ink as possible lift off your waxed paper and get ready to call someone. Because that’s the first thing you’re going to want to do because this method works so well. You’ll naturally want other people to be stunned. It’s a DIYer thing. I tried a few images just because it was so fun. Like I said earlier you can use this technique on any smooth, unfinished wood like old crates, tables, or chairs. For anything that’s going to have wear and tear, just remember to spray it with a a clear matte finish after you do the print. Any wood sealer will protect it. 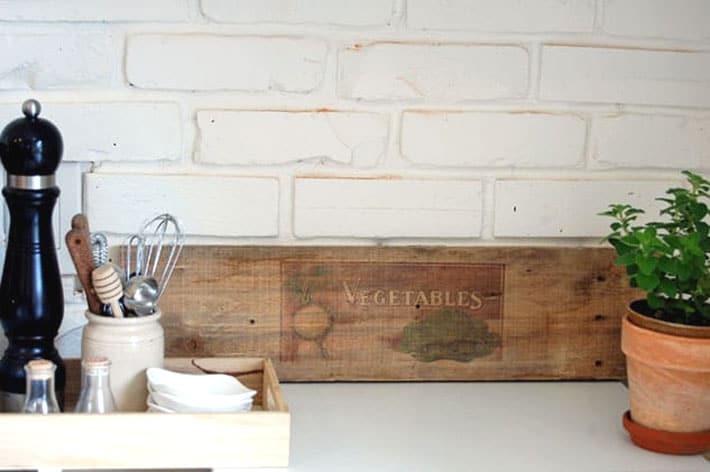 If you don’t have a table, chair or dresser you want to print on, you can just find a nice old board and prop it against the wall, or hang it. 1. 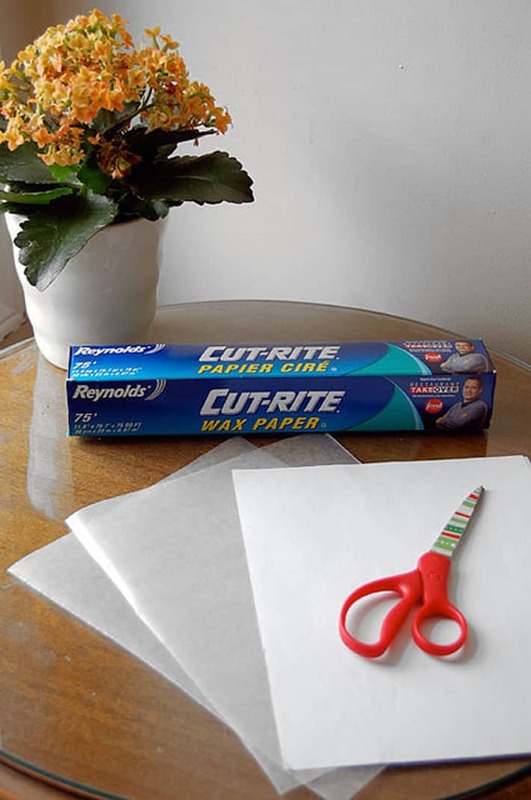 Cut sheets of waxed paper to the size of computer paper. 2. Print your image onto the waxed paper with any Inkjet printer. (must reverse image first using whatever photo program you have) In answer to some of your comments, no, it doesn’t matter which side you print on. Both sides of waxed paper are waxed. 3. Carefully place the image on your wood (wet side down) and then rub over it with a credit card. 4. Removed waxed paper and the ink is now transferred to the wood. 5. Seal with a matte spray wood sealer if you like. Use smooth wood. Rough barn board won’t work, but smooth barn board will. Darker colours on lighter wood works best. Dampening the wood a bit with a sponge will make the transfer darker, but it might blur and smudge if you’re not extremely careful. 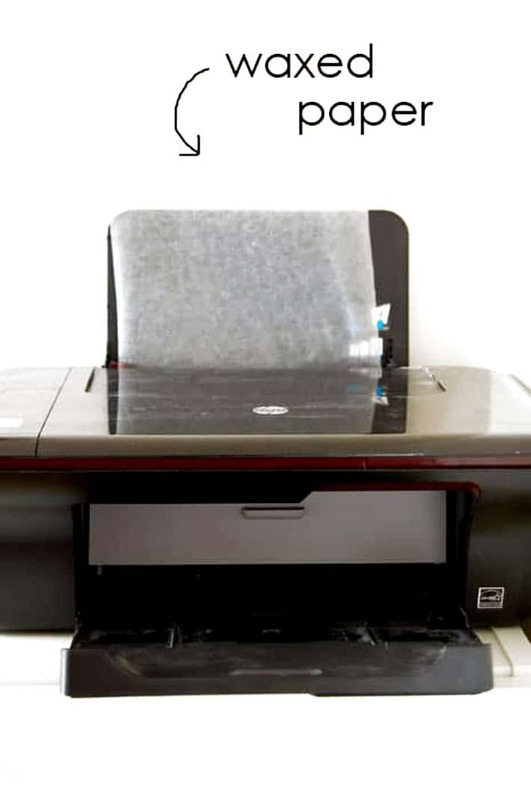 If the waxed paper won’t feed through your printer, tape it to a piece of regular printer paper before feeding it into your printer. Some readers have also had success by using the slippery side of freezer paper so you can try that. I made my piece of printed wood into a rustic planter. 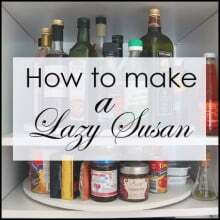 Read how to make your own in this post. My mind is going WILD with excitement. A. Because I’m in a different time zone and that therefore means that I’m awake to see your post 🙂 woot woot! B. Mind blown. There are so many cool things we can possibly do from your coolio idea. How about little pieces of wood with prints- as fridge magnets ?! Oh la la. Wood + photo + magnet = gorgeousness. Yessss. OMG that is so cool. 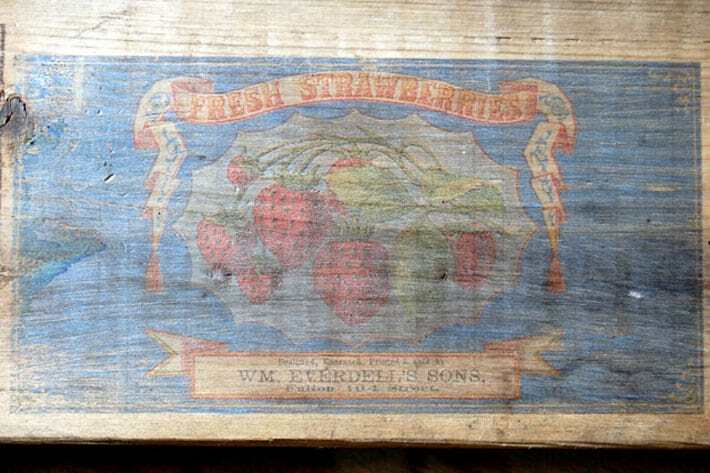 But my heart is breaking because the one object I would love to subject this to has been painted (an old cedar chest that has actually been stained, coated with whatever passed for polyurethane in the ’50s, painted, then painted again, so stripping seems daunting). Could this possibly work on a flat latex painted surface? Hi Erika – I haven’t tried it so I can’t say for sure, but I think you’d have a shot on flat latex painted surfaces. If the underside of the chest is painted as well, try a tiny transfer there. Or anywhere that won’t be noticeable. ~ karen! It’s likely to work on a latex printed surface. I do image transfers onto acrylic painted surfaces all the time, and a latex surface is essentially the same thing. Just give the ink ample time to dry after transferring to avoid smudging, and make sure you seal it. The key here is ‘flat’. If you have a high sheen latex it will not transfer properly (guessing, but that is how latex paint is designed: the higher the gloss/sheen, the less it will absorb moisture). That’s why they tell you to use a pearl or higher gloss paint when painting the kitchen, so the paint will hold up. Curious to see if someone tries it with a flat or eggshell sheen latex paint! Sand the painted surface and the transfer will work. Use this green product to remove the finish (paints and urethanes), let dry. The Graphics Fairy has great vintage images that are free! I have an old breadboard that I now have plans for. Love it!!!! A question, are wax papers waxy on both sides? 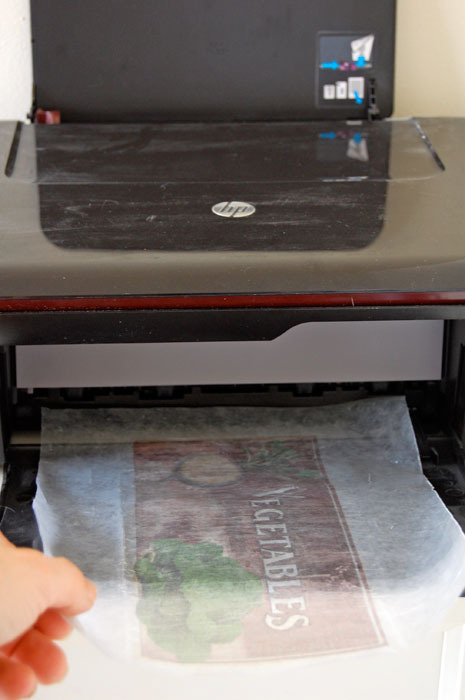 Does it matter which side of the wax paper you print on? I’ve heard that freezer paper works well too. You definitely have a right and wrong side. I was also wondering if it would damage the printer in anyway! I’m so happy I found your page and can’t wait to complete my photo projects that I am surprising my children and their spouses with of thier kids, my grandkids,thank you for taking the time to make your website, I love it! Genius! Does it matter what side the waxed paper is printed on? No ma’am. Both sides of the waxed paper are covered in wax. ~ karen! I haven’t tried this…yet…but did make cool coasters on marble tiles using graphic fairies prints and some of them are already reversed! Have to wait until husband not home to put waxed paper in printer:) he’ll swear I’m gonna ruin his printer! 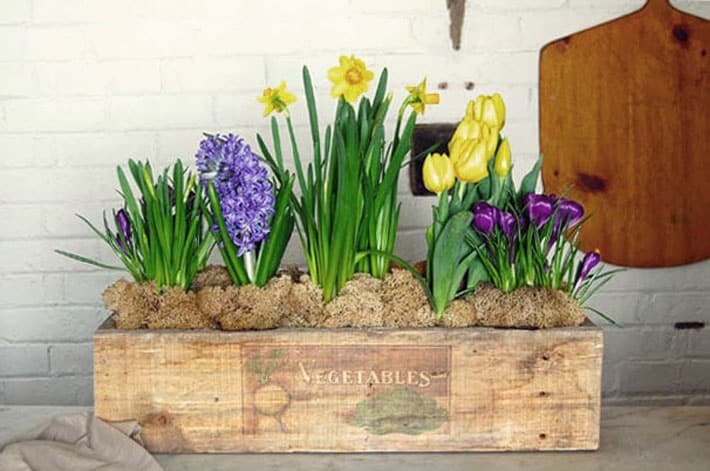 Gotta go find my driftwood stash….see what I can do with it ! I’m thinking a sign that says, <—-BEACH, because the beach really is to my left LOL!!!!! PS Is there a wrong/right side to printing on the wax paper? ?…I just checked mine, and there does seem to be a difference….one side is slicker, the other not as much. You’ll just have to play around with it fifi. The slicker side sounds better, but sometimes if it’s too waxy the ink smears before you even get it out of the printer. ~ karen! Do you have to reverse the image for all graphics or only those with writing? Hi Gloria – Just for those with writing, but I’m the kind of gal that’s sometimes bugged if something is facing the wrong way even if I’m the only one who knows it’s the wrong way. Also, sometimes when photos are reversed (as they would be if you didn’t reverse them) they look a bit off for some reason. It also depends on how you think the image would look best on whatever you’re printing onto. A face might be facing right for example, but you’d prefer if it was facing left. But, … having said all that I reiterate … nope … doesn’t matter, lol. ~ k! Thanks for the clarification. I, too, am bugged by stuff that looks weird facing the wrong way. So because I’ve not had much success with photo programs of any kind, unless you count my 2nd grade class photo which was stunning, I shall try to find images that are palindrome-ish. do you have to reverse the image? i guess i don’t understand the benefit of reversing it?? Just read your answer to my question on another post Karen, about the wax paper… and just wanted to add…..you have THE cutest pair of scissors !! Tell me they’re not from the Dollar Store!! Gonna do this with my grandkids pics and put them on little pieces of wood for my key chain ! You are a goof and a genius – a goofy genius. I have seen this trick but it sounded too tricky for me, but you made it seem possible. I have a family reunion coming up, where where we take handmade silent auction items and this is going to be something I *will* be working with! OMGOSH! I LOVE THIS!! Can’t wait to try it tomorrow! Thanks Karen! I have tried this with a spritz of water on the wood to dampen it and the first one worked out amazing. All the rest smudged. (six more)…. I have tried it on painted surfaces with a spritz of water and it smudged again. Now I am going to try this without water and a credit card! I’m feeling lucky! You have no idea what you have just done to my existence. Love this post, but call me stupid, but how did you get the reverse image for printing? I took a quick look at The Graphics Fairy and the images look right-sided. I tried doing this last summer and my printer totally ate the waxed paper. Other tutorials use freezer paper, which I had never seen in Canada (or heard of), but it seems to be sturdier. Lo and behold, I found a roll of it at my favourite cheapskate store–Dollarama! Now where did I put it…? I had this same problem, trying to put our last name on a planter I built for the garden. I used waxed paper but the printer ate it up. My solution was to cut a piece of waxed paper just big enough to fit my graphic, but smaller than the standard 81/2 X 11 page. Then I taped it to a regular sheet of paper with scotch tape. 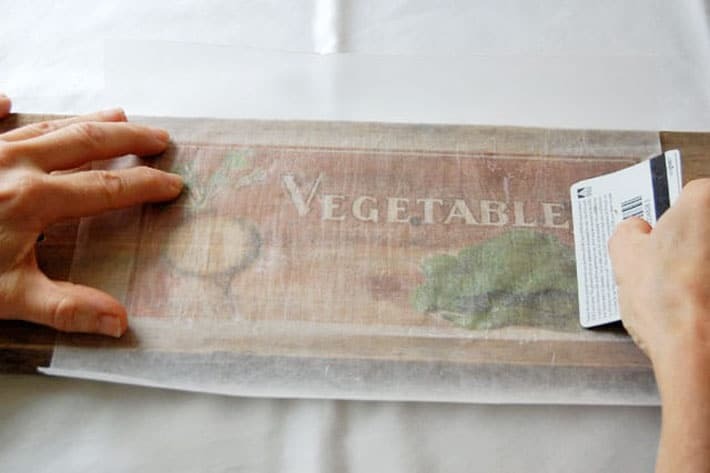 To make sure the position is correct and the waxed paper is large enough just print the image on regular paper; then cut a piece just big enough to cover it and tape it on. that got the printer to cooperate and the rest worked as expected! Thanks for the tip for readers Todd. ~ karen! Moral: In my case hubs said I could print again, but only on a full-size sheet, so if it got caught somewhere we’d be able to find it. Bless him for being so supportive of my occasional endeavors! I think Todd’s taping to another sheet idea may work well, or even better– thanks! The lady mentioned she couldn’t find freezer paper. 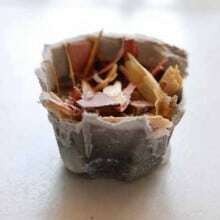 It is usually in the grocery store with the wax paper , tin foil, parchment paper. I have also seen it in the hunting section of Walmart because the hunters wrap their game it before freezing. Geez Karen…do you every get tired of being so damn smart!??? You are brilliant!! Thank you! Such a great idea. Looking forward to Part ll. So it won’t ‘curl’ as it feeds out of the printer, and so that your printer won’t eat the wax paper, try taping a 1 inch strip of copy paper to the lead edge of the wax paper (on the underside of the ‘print’ side, or same side if you have an unprinted edge on your photo). Also, if you have printed photo’s on photo paper, and you don’t like them, instead of throwing them out, if you print on the ‘back’ side of the photo paper, you’ll get the same effect as the wax paper. I know. I accidentally inserted my photo paper the wrong way on the paper tray. Smeared all over! To Fifi and everyone…TheGraphicsFairy has several ways to transfer images on her website. I started with the Citrasolv method but landed on Transfer Artists Paper for fabrics. Pricey, yes but I just ordered some on EBay a bit cheaper. Also have purchased online from Joann using 50% coupon. The results on a tea towel are amazing. (Chicken images are amazing ). For furniture many use a projector to outline the graphic then handpaint. I’ll try this method when I retire. What I love about the wax paper process is affordability and the instant aged look to the final product. Thank you for the DIY lesson – I can’t wait to try it out somewhere in my house. Huzzah! Now I am glad I did not throw out my old inkjet printer. I saw something on Pinterest where they scanned a hand-written recipe and put it onto a board. It would be great to hand down a family favourite in Grandma’s writing. 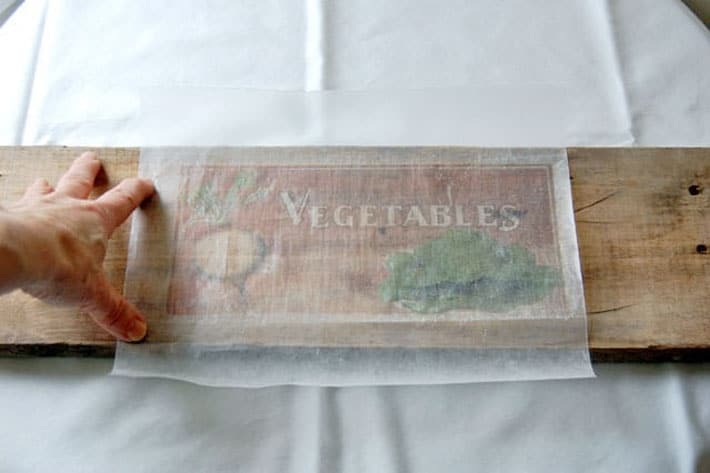 I wonder if the writing would be clear enough using wax paper – it’s worth a shot. I will be checking out the Graphics Fairy – your projects look great! You could probably do it. ‘Might want to make the writing darker/increase the contrast on the recipe card so the writing shows well, and the lighter the wood the better. It sounds like a very cool way to memorialize a recipe. They’re just better in handwriting, aren’t they? Brilliant. The possibilities for artistry while intentionally smearing the image are great. I’m thinking scanner images of fall leaves. This could be fun. Do warn folks not to try this with a laser printer. Only an inkjet printer will work. A laser printer uses heat to set the toner and that will be a bad combination with waxed paper. Will this work with a laser printer or just ink jet? Did you ever learn the answer to this? This is just plain genius. I would imagine you might want to adjust the printer settings for more ink. You’re right…. dingle dangle wood wouldn’t work, because the credit card would do some real damage… of the non-shopping variety. Way cool! I’m picturing wood block name plates for seating at holiday time. My son usually makes fun name plates for everyone on the computer, but this idea sounds like fun. Freezer paper is readily available by me, so I think I will try that. I also like the idea of using the back of the photo paper. And thank for the reminder of only using an inkjet printer. We have both. I love this! Although my printer is KO right now. If I tried to feed it wax paper it would probably light on fire. But also, thanks for the graphics fairy resource. I am so excited to explore! It’s a great site. Lots of graphics. ~ karen! This may be my favorite K.D.I.Y. Freezer paper will work also. Just be sure to print on the waxy side. I was so excited about finding lights at the restore for my new garden lighting AND THEN you do this. This is so incredibly amazing. Thank you. And how did you know about my 13 female whirling, dangerous ball of hormones? Fantabulous!!! For those not knowing how to reverse images, I have photoshop BUT I think in Microsoft Word you can pop the image in, go to edit it by clicking on it so the border thing shows (like you do when you crop images in word) then you can sort of slide from one side to the other and reverse the image…hope that makes sense! This is crazy-good! 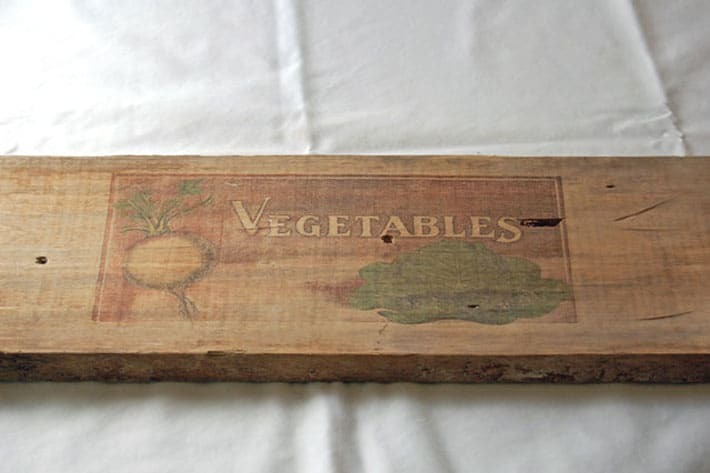 I am going to the thrift store to find some cheap ugly wooden plaques that I might be able to turn over and print something good on them. We used to use odorless paint thinner and xerox copies to transfer images onto wood (pre-carving for woodblock printing)… it probably would work with color copies as well if you want to work bigger (11×17). Might be worth testing and you wouldn’t have to worry about things getting jammed in your printer or smudging or ink drying too fast or whatever. @Cat How did the odourless paint thinner and Xerox copy trick work? Call me unimaginative, but I don’t get it. Where does the paint thinner go? How do you use the Xerox? Any way to use a laser printer for this ? I’m don’t believe so Sue. You need a printer that literally spits wet ink onto the paper and a laser printer doesn’t do that. ~ karen! Having spent the last day & a half down & out because of ingesting something funny, I fully expected no funny. But I has a few smiles. This is fantastic. The bf actually repaced our wonky laser printer, scanner copier with a basic inkjet printer. Guess I should thank him now. I make Wedding Plates from Wedding invitations and pressed flowers on the back of large clear glass charger plates. This would be Awesome using the wedding pictures as a collage. By the way, my milk jug hot houses are sprouting…..I live outside of Philly and we just had snow last week. You must try this!!!!!! OMG!! That is so amazing and I cannot wait to try it!! Thank you for sharing! have you ever tried this on canvas? I have not, but it would probably work on any very tightly woven fabric. I did however, do a post today on printer on fabric by running it directly through your printer. 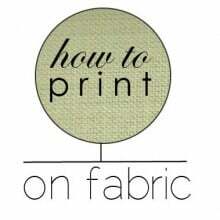 https://www.theartofdoingstuff.com/how-to-print-on-fabric/ ~ karen!